When Wyoming Medical Center merged with Mountain View Clinic, the people who worked for the clinic had to re-apply for their jobs. Not all were kept, but my sister, Allyn Hadlock was hired by Wyoming Medical Center. 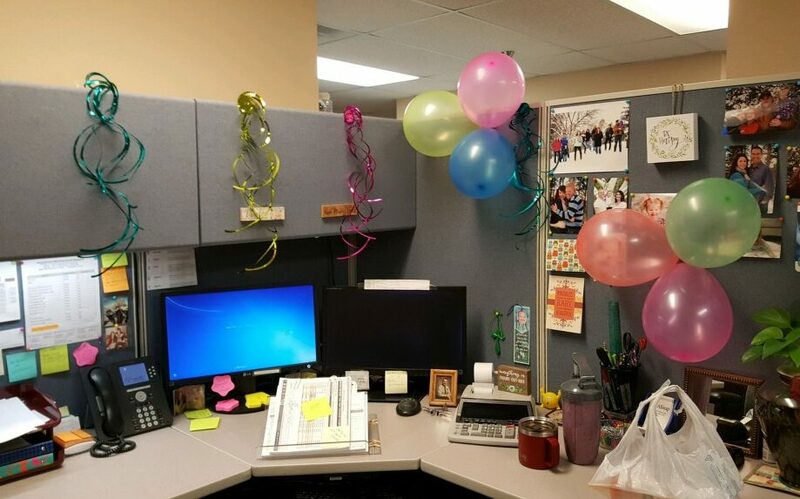 When she started her new job, it was also at a new location, Wyoming Medical Center, but the people she works with have made her new job feel like home. They have welcomed her like she is family, even decorating her office on Friday in honor of her birthday. 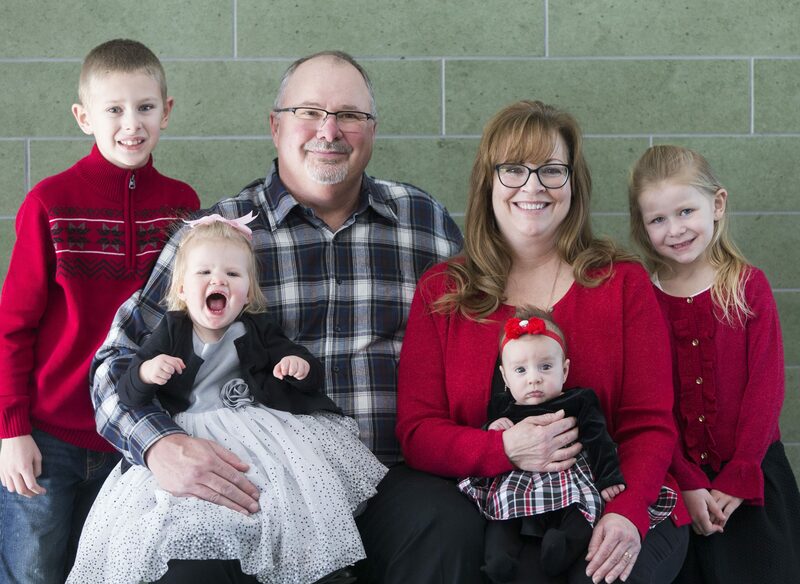 Allyn loves being a grandmother, and is very hands on with the kids. She picks the oldest two, Ethan and Aurora Hadlock, Up from school three days a week, because their mom is at work. Their mom, Chelsea’s work is right by Eileen’s cookies, so they usually stop to get a cookie before she drops them off. Some might say the kids are spoiled, but that’s just what grandmas do. Allyn is also very close to her younger granddaughters, Adelaide Sawdon and Mackenzie Moore. Adelaide’s mommy, Jessi thinks her mother should retire and become her nanny, and Allyn would probably like nothing more than to do so. 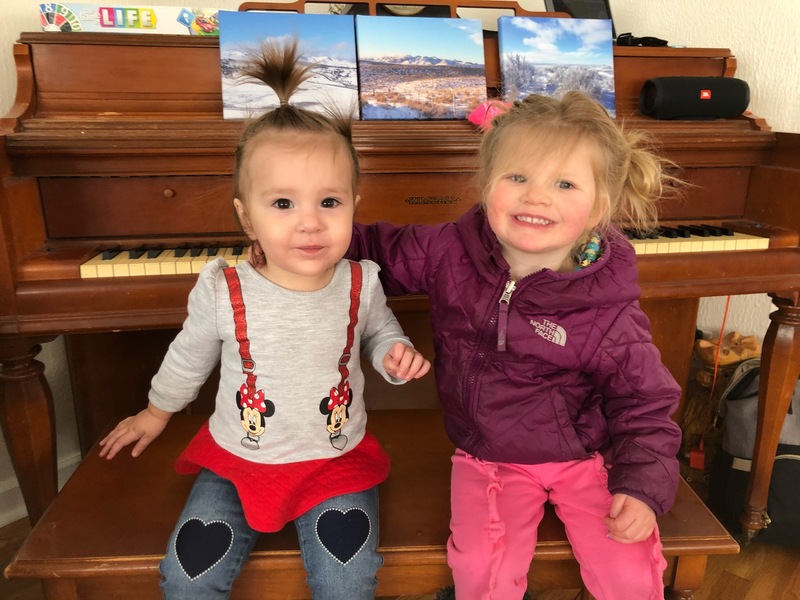 Mackenzie has lived in North Caroline since her birth, but February 1st marched a big change, when the family moved to Laramie, Wyoming so her dad. Shannon Moore could take a job as a football coach at the University of Wyoming. That puts them back n Wyoming for the first time in a long time. 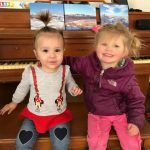 Allyn’s daughter, Lindsay and Mackenzie are staying with Allyn and her husband, Chris until March when the final move is made to Laramie. Allyn is ecstatic. Her family is all close again, and all is right in her world. 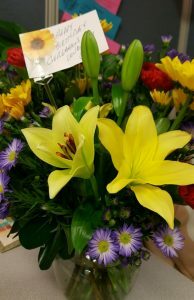 Allyn’s birthday, because it falls during Valentine’s week, has always been kind of special, but never more so that since her marriage to Chris Hadlock. He always makes sure that she gets two bouquets of flowers, one for her birthday and one for Valentine’s Day. They are always really pretty. Being almost a Valentine’s Day baby, Allyn has always liked hearts. They are her favorite shape. She has always made a special candlelight dinner for her family on her special China. She would set their Valentine’s on their plates and make it a fun evening. Her daughter, Jessi loved it so much that she does the same for my family now! It is really special, and less expensive than going out. Nom reservations needed. It’s a wonderful tradition. Today is Allyn’s birthday. Happy birthday Allyn!! Have a great day!! We love you! !